Qazi Moiz. 5 followers ... 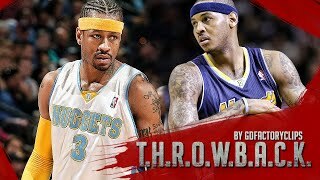 Throwback: Allen Iverson & Carmelo Anthony Full Combined Highlights at Spurs 2007 Playoffs R1G1. 5. 8 comments. Throwback: Dwyane Wade Full Highlights 2010.03.18 vs Magic - 36 Pts, 10 Reb, OT!